RNAS Yeovilton Air Day 2014’s first confirmed international participant is the Swiss Air Force’s F/A-18C Hornet Solo Display. Among Europe’s premier fast jet performances, the display combines speed, raw power, sharp precision, staggering agility and the use of flares to stunning effect. 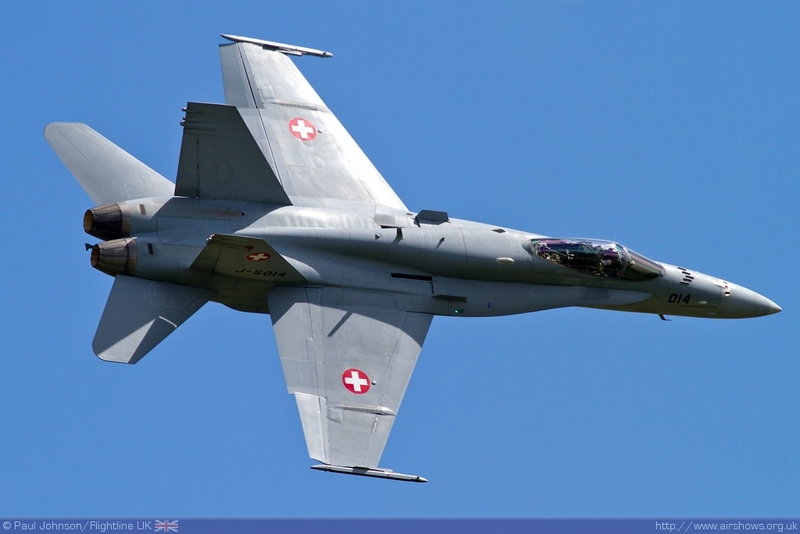 While the multirole-capable F/A-18 Hornet is essentially a naval aircraft used by the US Navy and US Marine Corps, some 30 examples equipping three squadrons of the Swiss Air Force are used for land based operations. First flown in 1978, the widely-sold Hornet has an incredible top speed of 1,190 mph and is sure to be one of the stars of the show. Tickets for Air Day can be ordered from www.royalnavy.mod.uk/yeovilton-airday at the discounted Earlybird rate with no booking fee until 31 January.